In recent years, National Taiwan University of Science and Technology (NTUST) has earned the reputation of the world’s number 1 learning institution for design. This summer, NTUST’s Creativity and Design Center held the “Cross-National Culture and Creativity Design Talent Development Workshop,” which allowed the world’s number 1 NTUST meet America’s number 1 Art Center. 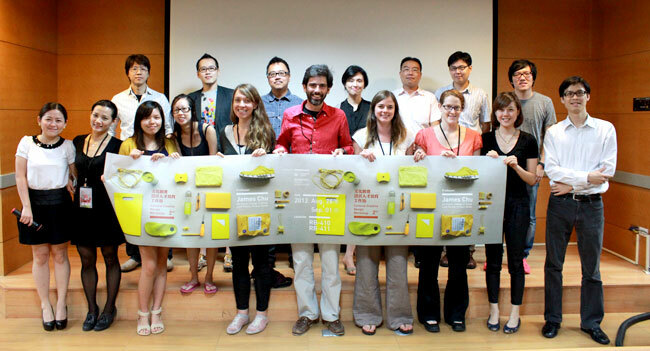 During the workshop, faculty and students from America’s number 1 learning institution for design, the Art Center, were invited to participate along with students from National Taiwan Normal University and National Chengchi University, allowing students from NTUST, other elite domestic design students, and students from NTUST to interact and learn from each other, producing creative sparks of culture and design. The Art Center College of Design was established in 1930, and is renowned throughout the United States for its visual design and industrial design capabilities. It is often listed by U.S. News and World as the number 1 design institute in the US. The Art Center College of Design not only enjoys an excellent reputation in academia, most of its alumni also work in large Global 500 corporations. The gold prize winner, Tangram Dinnerware, was jointly created by Yoshi Yeh, Yachu Yang, ShiShing Wang, Pengrui Huang, and Florence Jo. 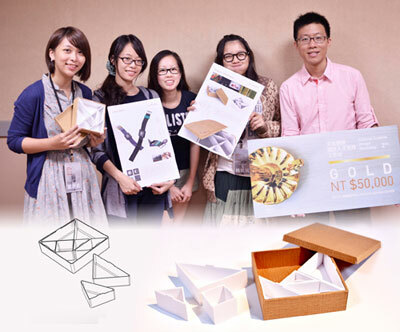 They combined the fun of tangrams with lunch boxes. There are a total of more than 100 variations, and after eating, you can even engage in a mentally stimulating game of tangram with family and friends, making eating together even more fun and exciting. Or, you can always engage in a game of mental stimulation according to an ancient diagram on your own after lunch, which will invigorate your brain cells and allow you to be even more energetic throughout the rest of your afternoon. The Share Kettle Set, which was the winner of the silver prize, was jointly designed by students Yingshow Chen, Shiying Chen, Guanshu Hong, and Shangyuan Shi. Their design integrated tableware and utensil design with Chinese cultural elements to produce an electronic sachet, a “we’re all on the same boat” teapot, and a steamer and rice cooker. The electronic sachet is a heated sachet that heats the fragrance materials. It can also be used as a warming pack. The design of the electronic sachet combines the “clothing” and “travel” seasonal imagery of the Dragon Boat Festival season, producing scents and fragrances that take us back in time into our memories and forms emotional bonds. The concept of the steamer and rice cooker come from steamers. Modern steamers come with sharing and power-saving functionalities. The Bronze-Prize winning Earthtree Set was jointly designed by Yiyun Chen, Wanting Liu, Yinkai Li, and Zhihao Wang. 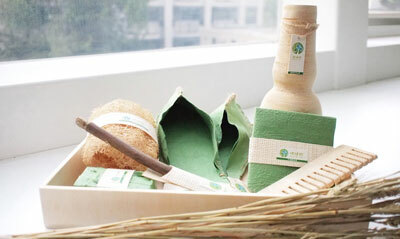 Foreigners traveling to Taiwan are the main theme behind this Earthtree Hotel Bathing and Shower Set design, promoting cooperation between local Home Hotels in Taiwan, and providing travel accommodation products that reflect Taiwanese cultural characteristics and comply with the Earthtree concept. We hope that visitors will not only gain a better understanding of Taiwanese culture, but will also enjoy a wonderful trip filled with green designs.